Located on the shores of the idyllic coastline of Antalya is the stunning LykiaWorld Antalya 5 star hotel / golf resort, the hotel features a unique 2.5km stretch of sandy beach to enjoy peaceful daily walks, with spectacular views of the LykiaLinks Golf Course and Taurus mountains it’s been a favorite for Golf Delights guests since the resort opened in 2008. Offering a variety of Golf Packages for groups or individual guests, here at Golf Delights we can ensure you will receive a memorable experience. During the summer months the stretch of beach at the LykiaWorld resort becomes home for the Caretta Caretta (sea turtles), they lay their eggs in May / June then from August we have the baby sea turtles hatch and make their way to the sea – if you are lucky enough to see this, it will give you and your children a memorable lifetime experience. 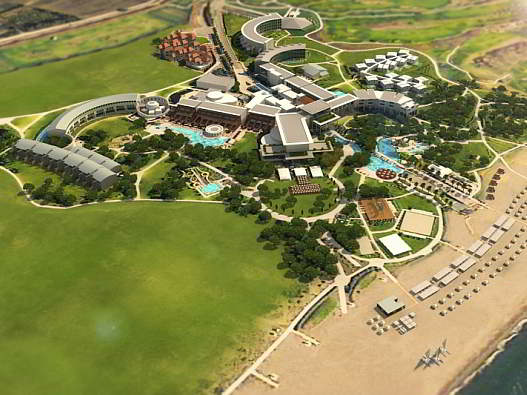 LykiaWorld Antalya covers over 300,000 Sqm offering excellent leisure facilities for all the family with an active daily children’s schedule for all ages and likewise many activities for the adults you will be kept busy all day and into the night. The LykiaLinks Golf Course is featured in the Top 100 Golf Courses of Europe and has been a favorite golf course for our Golf Delights guests when visiting Belek over the years, LykiaLinks Antalya has featured in the list from 2009 and improving its ranking yearly. 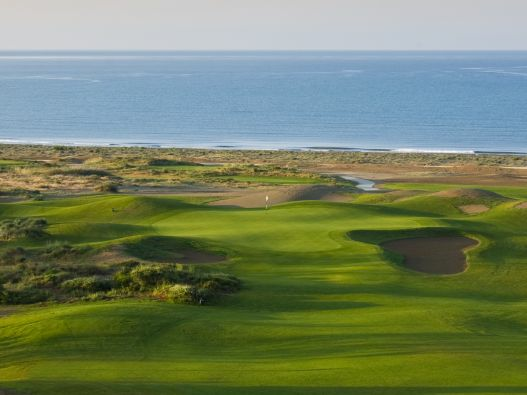 The Golf Course was designed by world renowned Perry Dye and his goal was to give the traditional Links Golf experience but with the added touch of experiencing better weather on this seaside Mediterranean Links course. You will need to have a variety of shot making skills from the chip and run, to the tricky lob shot over the many greenside pot bunkers, with undulating greens adding to the traditional Links experience. Within 10 minutes of the hotel you can visit the Aspendos theatre, this being a favorite of Golf Delights guests, Aspendos theatre is one of the most stunning historical sights in the Antalya region and we can arrange many more historical sights to visit within 30 minutes on your non-golf days.